Northglenn, Colorado is located 7 miles north of Denver and is approximately 23 miles northwest of the Denver International Airport (DIA). It is accessible via 104th or 120th Avenues right off of the I-25 Interstate. opportunities, quality parks, open space, and outdoor recreation facilities. Thirty miles plus of interconnecting Greenway trails gives residents and visitors the opportunity to walk, bicycle, or jog in any direction within the City. This well-planned trail system is connected to adjacent neighboring cities. Within the Community there are 160.35 acres of parks and open space areas designated to further enhance the quality of life and well-being of residents and visitors. For more information on Arts, Housing, Government, Economic Development, Jobs & Employment, Volunteer Opportunities, Golf Courses, Libraries, Parks and Recreation, Trails, Police & Fire Protection, Senior Assistance, Transportation, Maps and Data, visit the City of Northglenn's website. For the most current information & reports on Northglenn, Colorado schools - visit GreatSchools.net. You can browse Northglenn schools on a map or within list results and sort schools in Northglenn by name, grade level, or school type. Refine your search by school level (Northglenn elementary schools, middle schools, or high schools) or narrow by school type (Northglenn public schools, private schools, or charter schools). View Northglenn school information such as address, contact information, enrollment figures, student to teacher ratio, parent ratings and reviews of Northglenn schools, as well as links to test scores for schools in Northglenn, CO.
Buying a Home in Northglenn, Colorado? 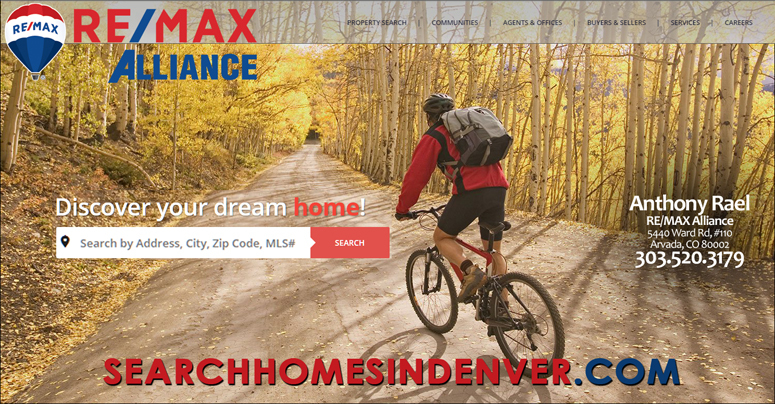 Relocating to Northglenn, Colorado or interested in purchasing real estate in the Denver metro area? Now is the perfect time to purchase real estate in Colorado. The selection of Arvada homes, condos, townhomes & investment properties is plentiful and prices have fallen by thousands of dollars due to the high number of foreclosed properties on the market. Use my free Buyer's Toolbox to find out how much home you qualify for, plus other tips for new first-time home buyers, search for your next Northglenn home, condo, townhome or investment property, information on the 9 Steps to buying Colorado real estate, understanding what buyer agency is and why you should be represented in a Colorado real estate transaction & other Northglenn Community Resources and Volunteer Opportunities in Northglenn, CO. You can also use my mortgage calculator to see how much home you can afford in the Northglenn area and explore available mortgage & financing options, get a list of my Preferred Vendors and Reputable Service Providers and even have Northglenn's hottest new home listings sent to you via e-mail. My free weekly Real Estate and Economic News will help you understand how the changing real estate market conditions & interest rates affect your ability to purchase or sell a home in Northglenn. Selling a Home In Northglenn, Colorado? Home appreciation rates in many Denver area communities have been sluggish the past two years, but if your home is updated, well-cared for and has good curb appeal, it will sell quickly and for a good price. Offering full-service & limited-service brokerage options both designed to help sellers maximize the equity in their homes so they can pursue other investment opportunities. Use my free Seller's Toolbox to learn about things sellers should consider before listing your Denver area home for sale, frequently asked questions or to request a FREE comparative market analysis to determine how much your Northglenn home is actually worth in Denver metro neighborhoods. Use the website to learn about what factors influence your asking price and get tips on preparing and staging your home for sale. Finally, make sure your real estate agent is a REALTOR®. How much is your Northglenn, CO Home Worth? Your Neighbor's House Sold for How Much? If you would like to sit down for coffee and discuss the Northglenn, Colorado Real Estate market, just call me anytime at 303-520-3179. Anthony Rael, REMAX Alliance offers professional & trustworthy real estate services to buyers & sellers throughout the Denver metro area including Arvada, Brighton, Broomfield, Denver, Golden, Highland/Sloan's Lake, Highlands Ranch, Lakewood, Littleton, Louisville, Longmont, Thornton, Westminster, Wheat Ridge, Adams County, Denver County & Jefferson County.